Last week I tasted Miso Caramel for the very first time, and was inspired to create my own version of this delicious dish. 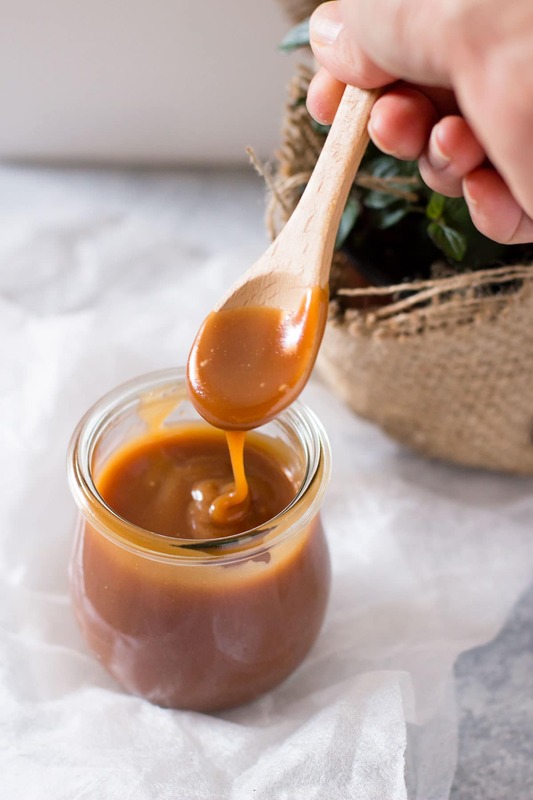 Today I’ll share with you my very own version of Miso Caramel so you can experience it for yourself. 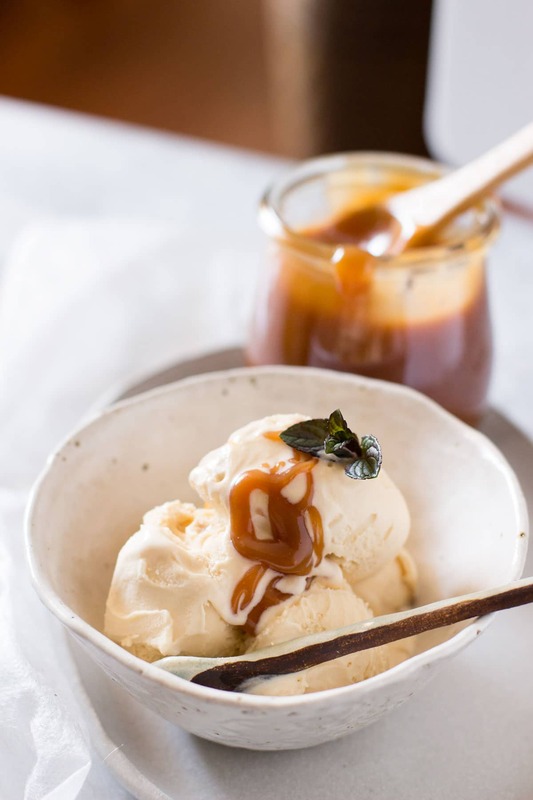 If you are a big fan of salted caramel, then I suspect that you love this dessert because the miso adds not only a salty element, but also umami known as the “fifth flavour”. This will add a greater depth of flavour than any caramel you have tried before! 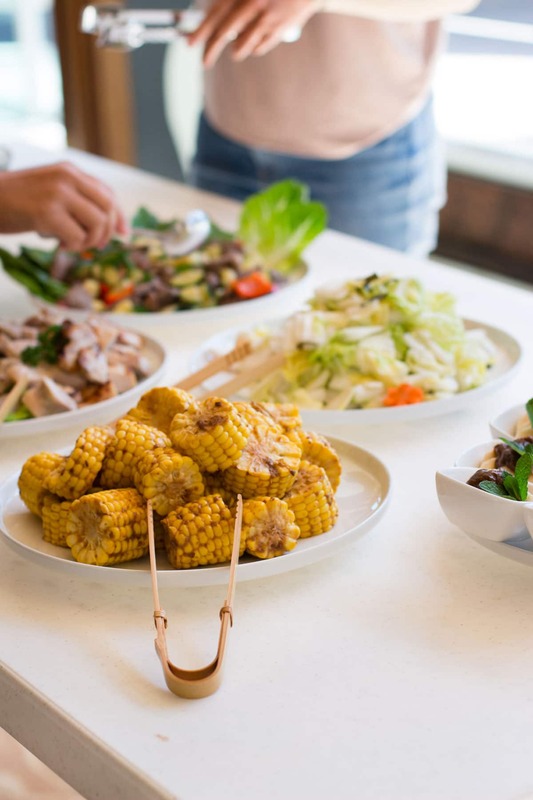 I recently attended a MYO (Make Your Own) miso paste workshop on the Gold Coast. The workshop was run by a Japanese company called “Rice Culture” who sell miso, koji, and other similarly derived products such as shio koji. I will dedicate another post to explain in greater detail, however for those who are unfamiliar, miso is basically a fermented soy bean with salt and koji (the fungus Aspergillus Oryzae). I remember when I was a young child that my grandmother always made miso from scratch, so we never had to buy miso at the store. I always believed that miso is not the type of ingredient that you should buy ready-made. 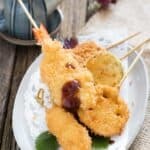 When I came to Australia 20 years ago there were very few Japanese groceries that were available, and I wished that I could make my own, just like my grandmother used to make. Unfortunately, I never learned her family recipe for miso. So, I jumped at the opportunity to learn at this workshop. The workshop was capped to only 16 participants, so it was a lot of fun with lots of hands-on learning. 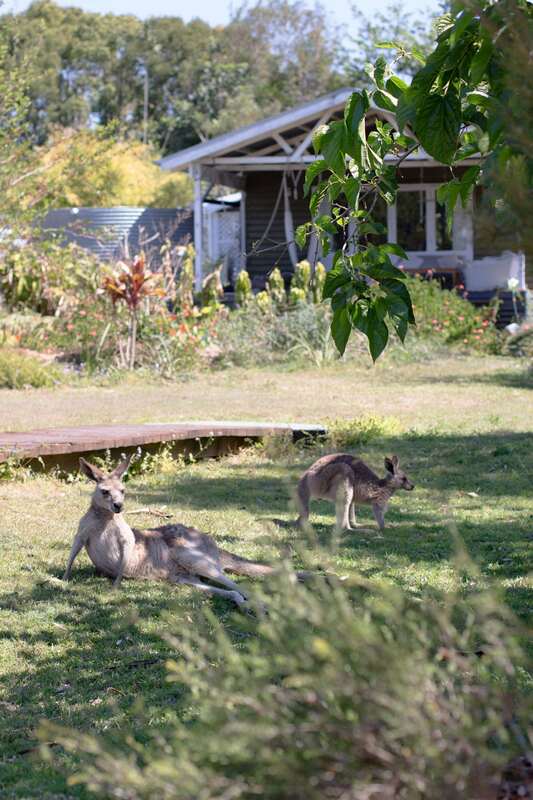 It was held at the beautiful old dairy community in the tranquil Currumbin ecovillage. After we learnt the theory of making miso paste, we were provided ingredients and the necessary equipment to make about 2kg of miso to take home. We made our own batches of miso which were ready to ferment at home. We were then served delicious Japanese dishes which incorporated miso and koji. Among those delicious dishes, I was most impressed with the Miso Caramel. It was truly an eye-opening experience for me, because I had always associated miso with savoury type dishes such as miso soup. When I arrived home, I started to search for Miso Caramel recipes. I found several recipes online, but I found that I didn’t like the ratio of ingredients in many of them. In fact, the first one I made became a completely hard caramel candy after it cooled down! I found Theminx’s recipe on Food52 to be the closest match, but I tweaked it a bit as I wanted a runny Miso Caramel texture. I doubled the amount of cream used in the recipe. There are many types of miso, with the flavours changing on the length of the fermentation process. The longer the process, the darker the miso will become. For sweets like this caramel, I think the white miso tastes better, as it has a sweeter and milder taste. 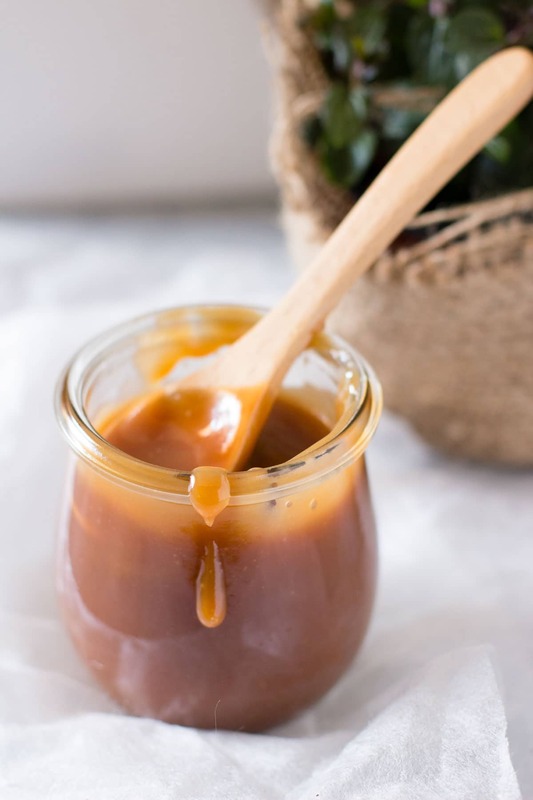 This Miso Caramel can be used as an ice cream topping, drizzled over pancakes, or used as a decadent spread on your morning toast! I’d love to hear your ideas, so please share your ideas with me using the hashtag #chopstickchronicles. 2. 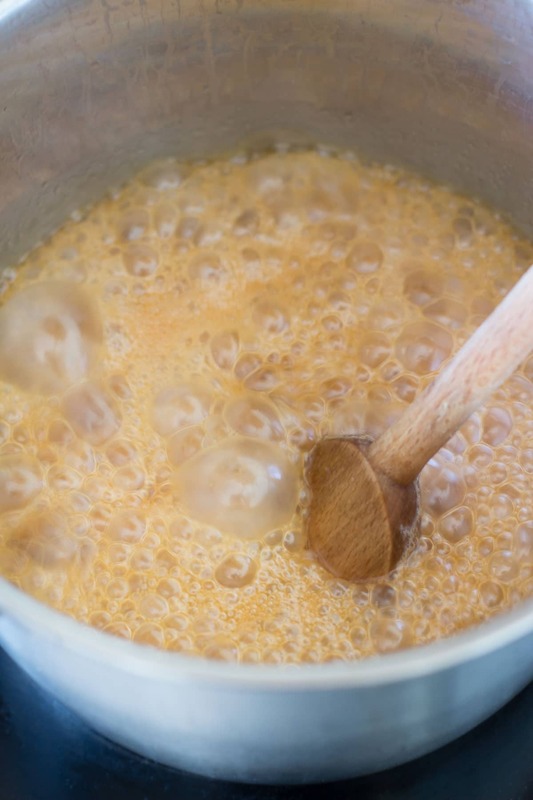 Place sugar and water in a large and deep saucepan and stir together to dissolve the sugar. 3. Heat the mixture over medium high heat and bring it to boil without further stirring. 4. When the sugar mixture becomes golden brown, remove the pan from the heat. 5. Pour the cream in carefully as the caramel will bubble. 6. Stir to combine and whisk the loosened miso mixture in. 7. Allow it to cool down and pour into a storage container (such as a glass jar). 8. Store it in the fridge. Thank you for taking the time and effort to list American measurements along with grams, etc. Oh..i was at Gold Coast recently. Should have met up with you and join you for the workshop too! Your miso caramel looks wonderful, I have bookmarked to make it soon! Hi Faithy, really? yes we could. That workshop was wonderful, I had a lots of fun. Your miso caramel has beautiful color and texture. I have a soft spot for anything sweet salty, so I definitely want to give it a try. The only problem is I can’t use dairy cream, so I guess I need to play around and see what works. Thank you for sharing this interesting recipe! 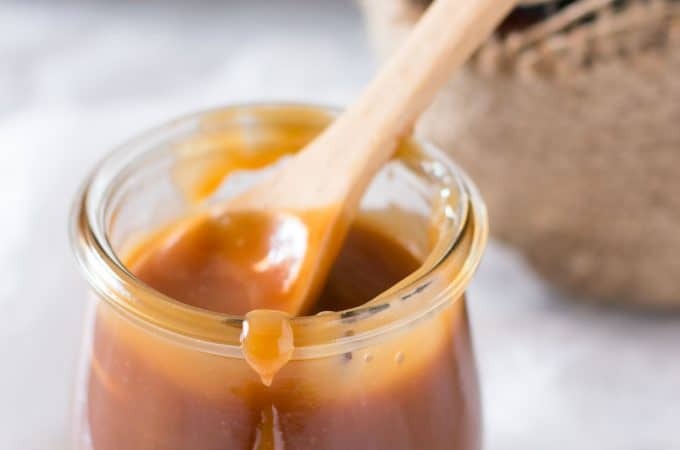 I’m very late to the party but I don’t do milk and have made many caramel sauces and candies using coconut cream, either from a can or you can make your own. Good luck! Also, that homemade miso workshop sounds like such a cool experience – I’m so jealous! 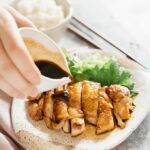 I never even contemplated the idea of trying to make my own miso before – I’ve always just purchased it at my local Asian grocery stores – but this has opened my eyes to the idea of it. I bet it tastes SO MUCH better than store-bought! Now I’ll have to see if there are any workshops like that in my area. Thanks for such a delicious and decadent recipe! Konnichiwa Shannon. 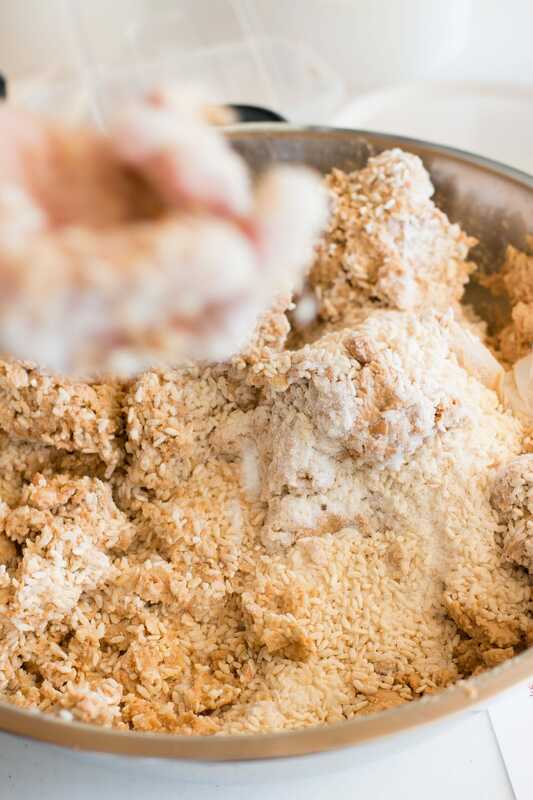 Yes, it was eye opening experience for me too to know miso can be used for sweets 😀 Fermented food is kind of a food trend now, so keep an eye out, you will find something near your area. I love it super great! More years ago than I care to count I was in Japan and was told about a candy. I butchered the pronunciation then so I will be no better now but I believe it was pronounced miso no suke. Is this the miso caramel that you write about? Is there another candy that may be pronounced somewhat as I have spelled it? Your answer will put to rest a long nagging frustration I have had. Thank you. This looks great! I had miso caramel at a restaurant last year and have been dreaming of it since. I’ll be making this recipe this week to top a cheesecake! Do you know how long this caramel lasts in the fridge? Hi – just wondering if you think this would keep for more than a week? I’ve been looking up shelf life of caramel and it seems to wildly vary haha. I’m thinking of making this as a Christmas’s gift and am hoping it will have a shelf life of about a month? Would love to know your thoughts. Thanks! Hi Caitlin, I am not sure as it contains cream in it so it is better to be consumed as soon as possible. I actually left it for a month and was ok but I ate it on taking my own lisk. If it is a gift, I will give fresh one and tell them finish it as soon as possible. Thank you so much for your response! much appreciated. What type of cream do you use? Hi Are you in America? I think the cream I used equivalent to whipping cream. 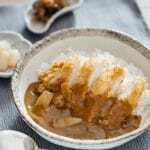 I’m planning a Japanese themed dinner party and would love to pair a miso caramel with some type of cake or pudding. Do you have any recommendations? Hi Phuong 😀 any simple flavoured cake will go with miso caramel well because miso caramel has strong flavour.